How Do Seoul Residents Choose Their Area? Housing prices are the main factor in determining where Seoul citizens choose to live. But those who rent their homes place greater emphasis on the educational environment than homeowners, like whether there are good schools. Residents in the northern part of Seoul tend to choose their home with expectations for real estate price growth, whereas residents in the southern part give higher priority to educational environment and public safety. The city government recently published a survey of 42,687 residents over 15 conducted last September. They were asked how they choose a place to live and allowed to give multiple answers. The most important factors were economic factors (63.2 percent) and traffic environment (48.8 percent). Next came the educational environment (16 percent), shopping and recreational facilities (13.8 percent), and public safety (13 percent). The proportion of people who placed high priority on traffic factors like access to public transportation rose 11 percentage points from 37.8 percent in the previous year. Some 13.8 percent thought shopping facilities were important, up just from 4.1 percent. And the proportion who considered buying a house a good investment rose from 4.8 percent to 11 percent. But public safety plunged by nearly half among priorities from 27.9 percent to 13 percent, and the neighborhood's reputation also halved from 24.8 percent to 12.3 percent. A city official said, "This is because all of Seoul is pretty safe and there are almost no slums or areas where people don't want to live." 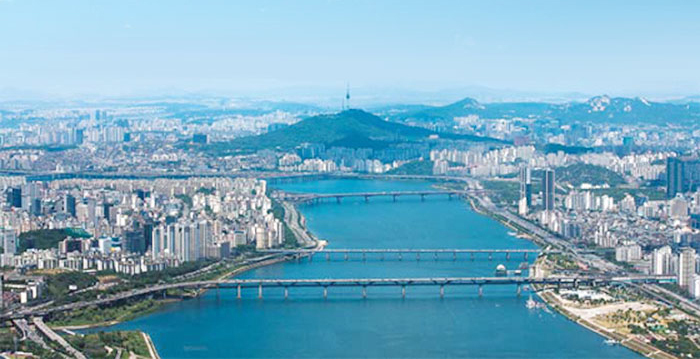 A particularly high proportion of 18.6 percent of residents in the northern districts of Jongno, Jung and Yongsan cited investment considerations as a major factor. In the swish southeastern districts of Gangnam, Seocho, Songpa and Gangdong, a higher proportion put the priority on the educational environment, with 19.1 percent compared to the average of 14.9 percent. Since they were mostly already wealthy, cost mattered less to them than to residents elsewhere, at 59.9 percent. Those who rented their homes put a higher priority on educational and child-rearing environments than those who owned their homes at 21.2 percent vs. 15.6 percent. "This survey shows that there is a high demand for rental housing in districts of Seoul with a good school district or a cluster of crammers," said Lee Nam-soo of Shinhan Investment.